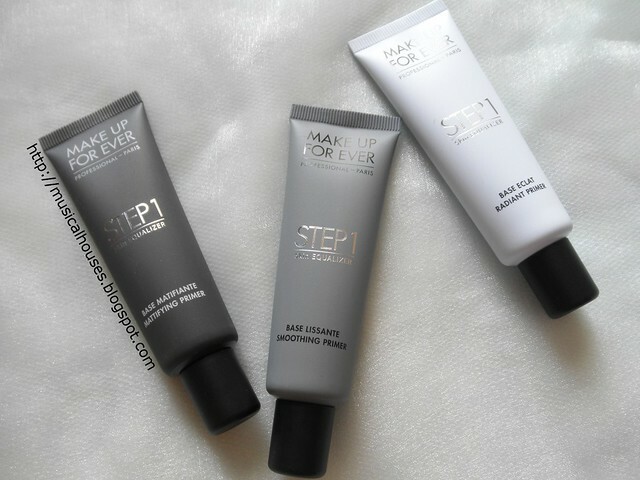 MUFE's Step 1 Skin Equalizer Primers are the latest range of makeup primers from MUFE, and as is typical of MUFE, they have launched not one or a few, but a whopping eleven primers under the Step 1 Skin Equalizer range. Each of these 11 shades is meant to serve a particular need, from hydrating to mattifying to smoothing, to nourishing, and a good 6 of the 11 are "Radiance Primer" shades, to subtly colour correct and give skin radiance, and these come in a variety of shades, from pink to blue to yellow to mauve and caramel, for different skin types (the yellow, mauve and caramel shades, for example, are for darker and tanned skins, while the pink, blue, and peach are for fair skin) . So no matter what your need, there's probably going to be a primer that works for you! According to MUFE's comment on my Instagram photo, Step 1 Skin Equalizer Primers will also replace MUFE's previous primers, so the HD Primer, HD Elixir, and All Mat Primers will be replaced with the Step 1 Skin Equalizer range. 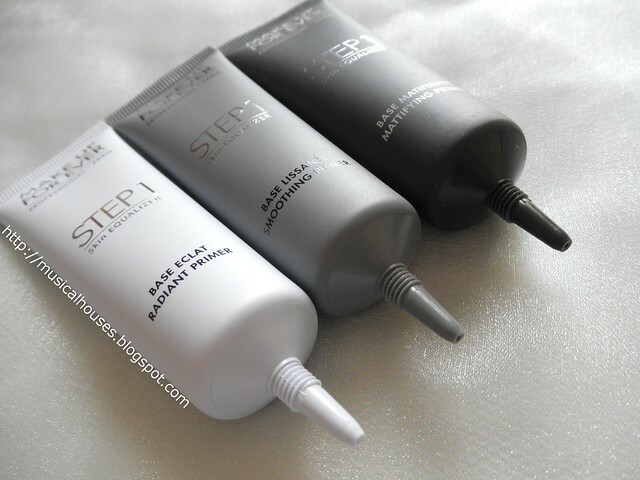 For the review, I have three shades of the Step 1 Skin Equalizer Primers - Mattifying Primer #1, Smoothing Primer #2, and Radiance Primer - Blue #7. While mattifying and smoothing primers aren't anything particularly new, I thought a blue primer for radiance and colour correcting was definitely something I've not seen on the market yet. I'm told you can also layer these primers together - so if you want a combination of say, smoothing and colour correcting, you can certainly combine or layer the primers. The Step 1 Skin Equalizer Primers themselves are packaged in very sensible packaging - little tubes of 30ml each, with a squeeze nozzle at the end. I like tubes and pump packaging better than jars, because they are always more sanitary. And tubes with small nozzles also help to prevent evaporation of some of the move volatile ingredients, like some types of silicones, which would otherwise quickly evaporate from a jar. 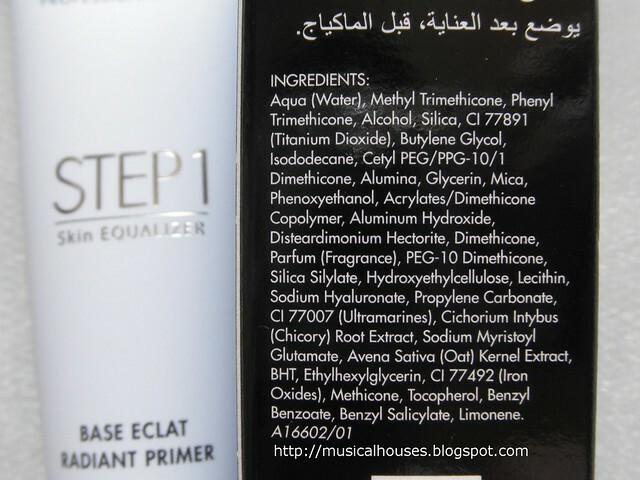 Because my favourite thing to do is look at the ingredients in the products, I'm going to start this review by doing just that, and we'll take a peek into how exactly the MUFE Step 1 Skin Equalizer Primers work, and the ingredients behind their key functions! It's worth noting that each of the Step 1 Skin Equalizer Primers are formulated differently, in order to achieve different effects on the skin. Initially, with the huge range of 11 primers all at one go, I had assumed that perhaps MUFE had just taken the same formula, tweaked it ever so slightly, and then repackaged it for different uses. Turns out, the formulas are actually quite different across the primers I have, which speaks to the amount of work that went into getting all 11 primers ready for launch! First, the Mattifying Primer #1. This is supposed to help reduce pore size as well as control shine, to ensure that your makeup goes on smoothly, and stays matte. 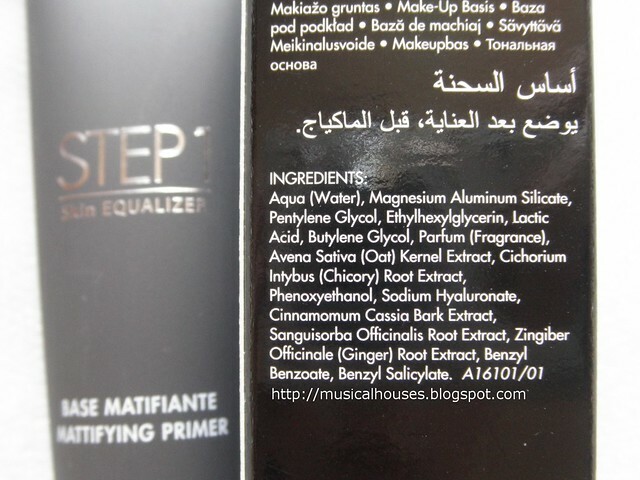 MUFE also claims that the product contains "Sebustop Vegetal Complex" as well. I imagine this might be quite popular in this part of the world, where the hot and humid climate tends to give rise to skins that are oily and makeup that melts! As you can see, the main ingredients in the Mattifying Primer #1 are Water, Magnesium Aluminum Silicate, Pentylene Glycol, Ethylhexylglycerin, Lactic Acid, and Butylene Glycol. After this, come the perfume ingredients, as well as a slew of ingredients that are there in small amounts, including a variety of plant extracts that presumably make up the "Sebustop Vegetal Complex", like Oat Kernel, Chicory Root, Cinnamomum Cassia Bark, Sanguisorba Officinalis Root, and Ginger Root, as well as other functional ingredients like preservatives. So the main mattifying ingredient here is Magnesium Aluminum Silicate, which is a clay-like ingredient that has absorbent properties, and is also found in other popular primers like Becca and Smashbox. Beyond that, it also contains humectants (Pentylene Glycol, Butylene Glycol) and exfoliants (Lactic Acid) which have skincare benefits as well, and Ethylhexylglycerin is found as a surfactant and preservative enhancer. So yes, this product is indeed formulated to do what it says it does, especially with respect to oil and shine control. I also like that there are a few ingredients with skincare benefits - always a plus in a makeup product although I don't expect it - and for those who like the plant extracts, this primer has them. Next we look at the Smoothing Primer #2. The Smoothing Primer is supposed to instantly "fills in and blurs imperfections for silky soft skin", and boasts a non-oily satiny formula. It is supposed to also even out the skin texture and minimize pores, fine lines and wrinkles. As one might expect from a primer that is meant to blur imperfections and smooth surfaces, the main ingredients here are a whole bunch of silicones and polymers - Methyl Methacrylate Crosspolymer, Dimethicone, Cyclopentasiloxane, Dimethicone/Vinyl Dimethicone Crosspolymer, Diphenyl Siloxy Phenyl Trimethicone, Trimethylsiloxysilicate, Silica Silylate and so on. These generally serve the function to form a nice, smooth surface on the skin, and generally feel nice and silky on the skin, and the mix of silicones and polymers helps to achieve the desired effect and feel on skin. Some of the silicones, such as Cyclopentasiloxane, are volatile and evaporate quickly when applied to skin, so they help to spread out the product evenly before evaporating, others, such as Dimethicone/Vinyl Dimethicone Crosspolymer and Silica Silylate, have a "soft focus" effect when applied to the skin, and most of the silicones have water-resistant properties, which is always useful in a primer. Most of these polymers and silicones are also film-formers, that form a nice, smooth layer when applied to skin, which makes for a nicer base for makeup application, and some also serve an emollient function on the skin. Other than the silicones and film-formers, other ingredients include Titanium Dioxide, which in this case is an opacifier, as well as perfume, preservatives, and the like. Some of the plant extracts also make it into the product, like Oat Kernel and Chicory Root. So, this product is definitely formulated to feel silky on the skin, and give skin a smoother, more even finish. Lastly, we look at the Radiant Primer - Blue #7. This is supposed to colour correct your skin tone to improve the appearance of your bare skin, to make it look more radiant. 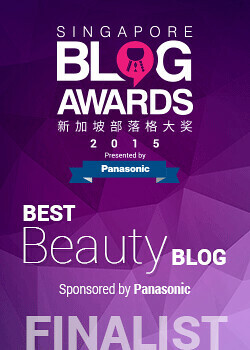 According to MUFE, it also contains "Spectraflex pigments to neutralize imperfections and banish dullness". Blue is for "yellow red fair skin", and I thought it was an appropriate colour for me, since I do have fair skin, and also suffer from redness (thanks acne and pimples), and sometimes have skin that appears sallow. Any brightening is appreciated in this case! I suppose the ingredients wouldn't matter as much in a colour-correcting product like this, because really, the most important ingredients would be the pigments that are used to give the product colour. In this case, since this is a light blue coloured primer, it makes sense that the pigments would be Titanium Dioxide (CI 77891), which is a white pigment, Mica, which adds shine, and Ultramarine (CI 77007), a blue pigment, and Iron Oxides (CI 77492), which are yellow. The "Spectraflex" technology used in MUFE's Radiant Primers are actually sourced from Sun Chemical, which holds the patent to Spectraflex pearlescent pigments. Sun Chemical describes the technology as "platelets of transparent alumina coated with a thin layer of titanium dioxide", which "produce a high level of diffuse light reflection and transmittance". This in turn helps to acheive "soft focus effects with a natural translucent finish", and "softens the look of fine lines, conceals wrinkles, and delivers enhanced skin for a natural, translucent finish". So that's a quick rundown on the Spectraflex technology for you! But in short, the Radiance Primer - Blue #7 is formulated with pigments that help to diffuse light and blur imperfections, and also has a base that feels nice and silky and non-oily on the skin. 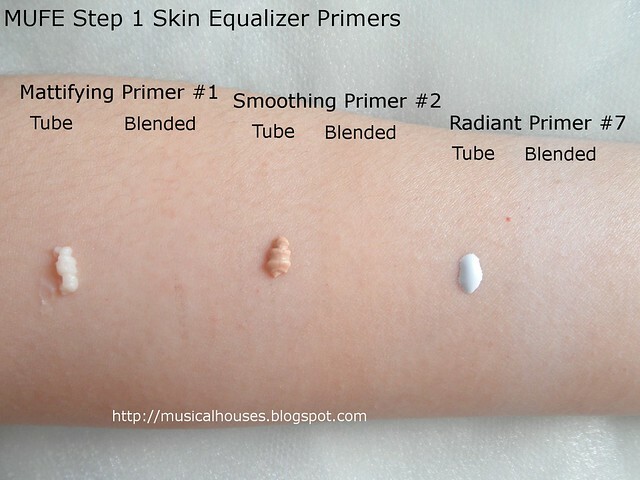 Now that we've gone through the ingredients of the primers, here are some quick swatches to show the colours and texture of the various Step 1 Skin Equalizer Primers. The Mattifying Primer #1 has a "dry" feel, and quickly dries up on the skin as you spread it out. The primer is white, but blends colourlessly into the skin. The Smoothing Primer #2 is a skin-tinted product, that goes on fairly transluscent - it didn't impart much pigment or cover much, so this isn't going to function as a concealer by itself. The Radiant Primer - Blue #7 is a light blue liquid, and from the blended swatch, you can see that it does impart a blue tint that counteracts yellowness in the skin, making my skin look fairer. 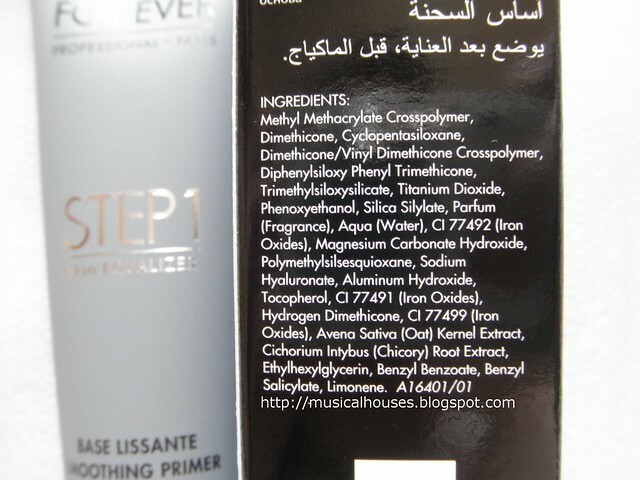 The Mattifying Primer and Smoothing Primer generally feel dry rather than wet, and feel fairly "silicone-y", which is to be expected given the ingredients in the products. The Radiant Primer - Blue #7 is a liquid and feels "wetter" than the other two primers. All of them, however, blend well into the skin and feel lightweight on the skin. In addition to the swatches, I have a demo for each of these primers. For the Mattifying Primer #1 and the Smoothing Primer #2, I thought I'd apply them on my nose, because my nose does have a lot of lumps and bumps and pores that require evening out, and also, it's typically the most oily part of the face for most people. For the Radiant Primer - Blue #7, since it's mainly a colour correcting primer, I just used my forehead, because as a wide, flat area of skin, it was easy for me to photograph. Anyway, let's start with a photo of my bare nose. Don't say I didn't tell you it would look gross! 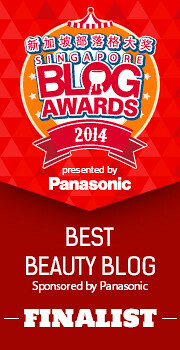 Yay, pores and oil clogs galore! And, here is same gross bare nose, but with the Mattifying Primer #1 applied. 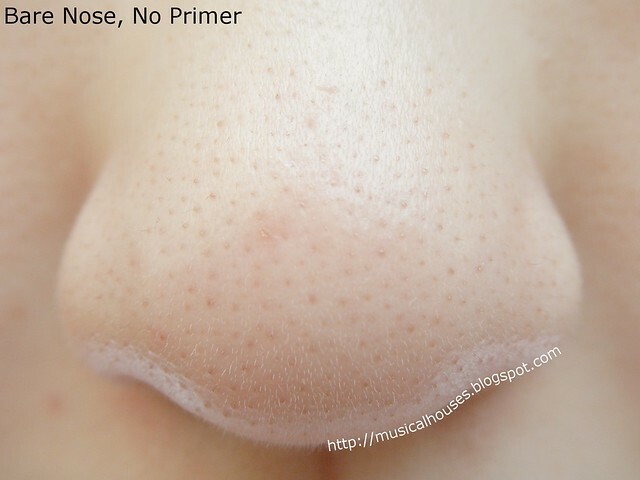 I guess my nose isn't that oily originally, so the effect here isn't as dramatic as it could be, but you can compare the "before" photo and the photo below, and you can see that in the "after" photo, my nose looks less shiny, and also, the pore pits in my nose are less obvious and look more even. It does help to fill up the little dents in my nose, so there is a general skin-smoothing effect as well. As you can see, this is colourless, so although my nose looks less shiny and the pores look more even, they're still visible, and if I wanted to cover them up, I would have to apply a foundation or concealer. Next, my bare nose with just the Smoothing Primer #2 applied. As you can tell from the photo below, compared to the "before" photo, the effect on this is very dramatic! 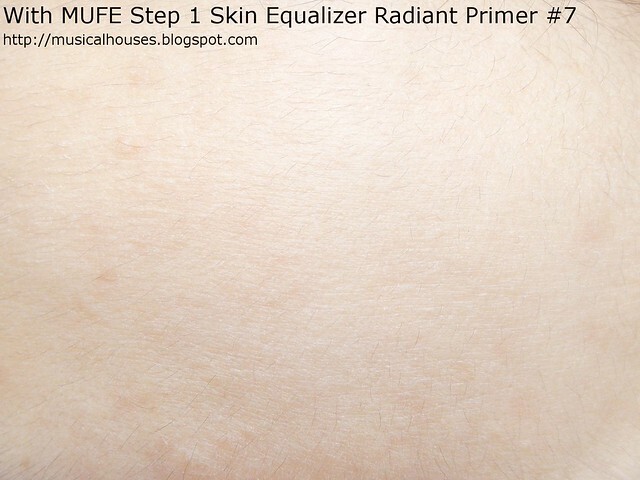 I've tested other primers that were also supposed to have an imperfection-blurring effect before, but even then I was still very impressed with the MUFE Step 1 Skin Equalizer. 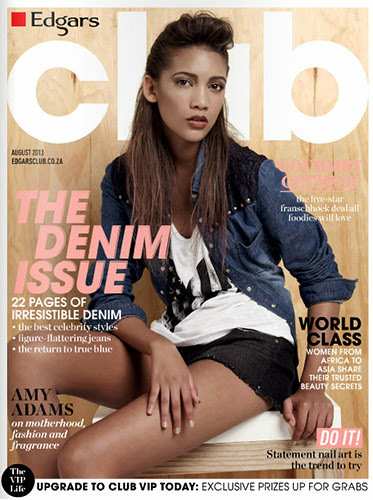 I mean, seriously, just look at the photo below - my pores are virtually blurred into non-existence! And I promise that I didn't edit the before or after photos in any form at all, except to correct for lighting (the original photos were a tad blue-tinged and dark). So all that pore-blurring effect is just how the product photographs. This is really one for the cameras, because it photographs so well. In person, my skin looked better, but I didn't know just how dramatic the effect was until I was actually reviewing the photos. So this is something I'm definitely going to use for special events where I'm going to get photographed! The slight tint in the product goes on transluscent, and helps in covering some of the pores, but again, this isn't really going to work alone as a concealer. Next, the Radiant Primer - Bluee #7. For this, let's check out my bare forehead. Fortunately this doesn't look as gross as my nose, I hope! And below, the same part of my forehad with the Radiant Primer - Blue #7 applied. If you scroll up and down to compare the "before" and "after" photos, you can definitely see a colour change, with the "after" photo looking less yellow, and also maybe a shade fairer. This is one where the effect is much more dramatic in real life than in the photo. The blue tint was very effective in cancelling out any yellowness and sallowness in my skin, and really did brighten up my skin, and made me look fairer. There was also a general skin-smoothing effect, where some of the fine lines in my forehead look smoother in the "after" photo. I found the lasting power of these primers to be pretty good. They lasted most of the workday on me, and helped my base foundation and powder to hold on longer, too. I thought I'd also talk about choosing primers because when I posted about the Step 1 Skin Equalizers on my Instagram account, there was some discussion on choosing primers and how it can be difficult to choose the right primer. My personal tip for choosing primers is to get a sample of the primer if possible, and try it out with your existing makeup/skincare regime, rather than just swatching it on your arm in-store, if you are serious about buying the product. The reason why I think trying out a sample of the product is important, is because primers are composed mainly of film-forming polymers and silicones, and depending on the ingredients in the moisturizer/sunscreen/foundation/other product you plan on using it with, the silicones, oils, water, and polymers in the various products may interact with each other and cause "balling" when layered together. And sometimes, it can be difficult to tell at a first glance which products will work well with which other products until you actually get your hands on a sample and try them. This can partially be counteracted by waiting for a bit for each layer to "set" before applying the next product, but if you don't have time for that in your regime, then it's good to test out the product to see if it works together with the rest of your regime. 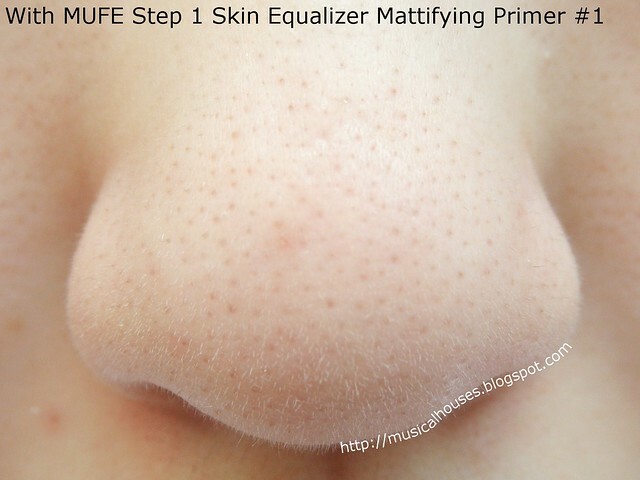 So, would I recommend the MUFE Step 1 Skin Equalizer Primers? Yes, definitely. They may be a bit pricey at SGD$68 for a 30ml tube, but, as the before and after photos show, the Step 1 Primers all do what they say they do, and are really very effective at mattifying, smoothing, and at brightening the skin. And the different primers are actually all formulated slightly differently to give the respective properties, as well. All in all, I'd say these are very effective at what they do, and if you can find one that fits into your routine, are definitely worth checking out. 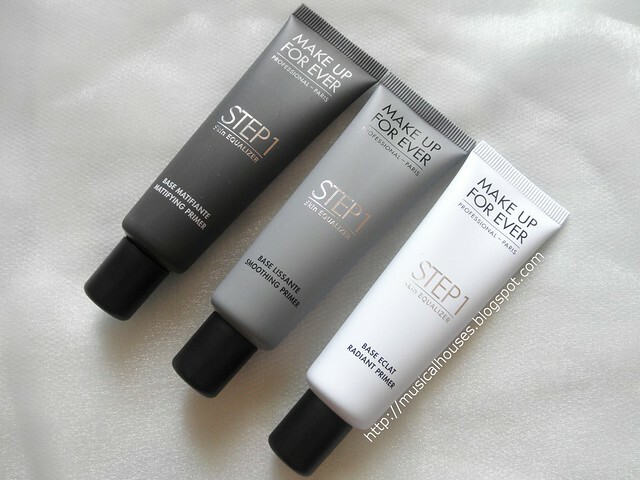 The Bottom Line: The MUFE Step 1 Skin Equalizer Primers are very effective at smoothing, mattifying and colour correcting, and do what they say they do. I bought the mattifying primer and i must say i love it!!! 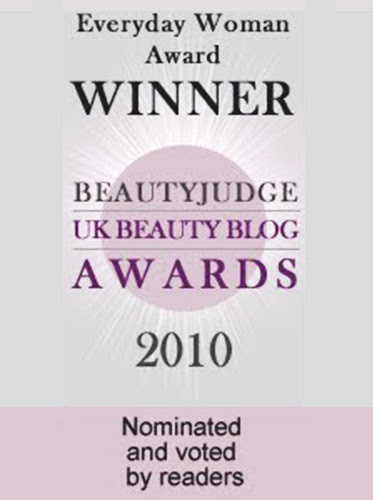 I am oily in my tzone and cheeks and this has controlled the oiliness pretty well. The only down side of this product is that it dries up pretty quickly and when applying it leaves a chalky feeling and or a white paste!! I'm still trying to see find different ways to apply this primer to avoid the chalky white paste. Any suggestions? @Anonymous: Yes, the "dry" texture of the mattifying primer, as well as the oil absorbing agents, might have that effect. A few ways you could mitigate this are applying less of the product, applying it over or under a product that is more moisturizing (I guess this would depend on the moisturizer/foundation you're using)? I know products with this type of texture can be tricky to work with, especially because they have to be layered, so I hope you find something that works for you via trial-and-error! @Musical Houses I apply the sephora 8 hr mattigying moisturizer sunscreen and then the primer. I noticed that since it absorbs the oil there are places in my face where makeup has moved and i have patches where there is no more makeup. I also noticed that i can run my finger down my face and the makeup comes off as if it was glue, like when you put glue in both hands and rub them against each other. I am thinking i will have to return this product!!! ugghhh i am so disappointed!!! i thought i had found a miracle with this product. @Anonymous: I feel your pain! 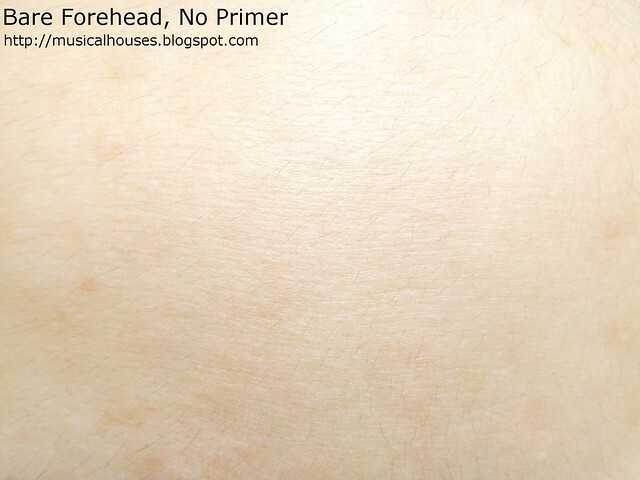 The thing about choosing primers to go with your foundation/sunscreen/other products you're using at the same time, is that there isn't any surefire method to know if your primer will work well with the other products (like I mentioned in my blogpost, I recommend getting a sample to test to verify that it doesn't ball up or anything like that). I hope you find one that works for you! Fingers crossed! The smoothing primer looks impressive! Wow, I had no idea primers could be so effective, and how impressive that they all have their own unique formula for their purposes. An eye opening review! Did you notice if you were less oily with the Smoothing Primer? Hello :) I was wondering how the MUFE mattifying primer is in comparison to the Kielh's Micro-Blur. I was interested in purchasing the Kielh's over your review. Which one do you prefer? Thank you! 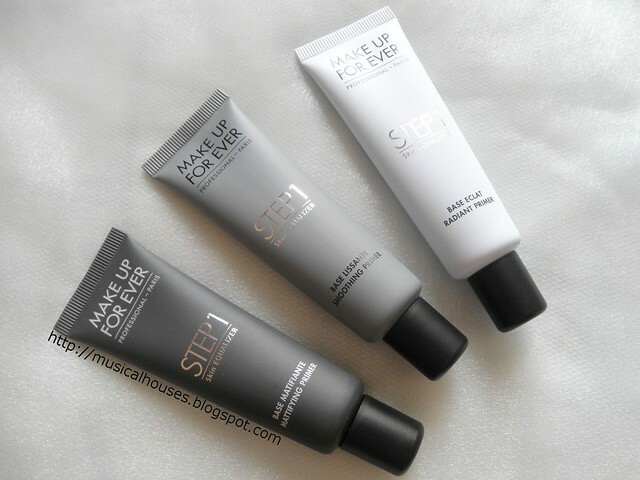 I was wondering, should we use all three of them or can we use only one type of MUFE step 1 primers? @Tsarah August: You can use more than one, but my personal feel is that layering too many primers at the same time may end up being counterproductive, as you run the risk of your products balling up and peeling off or that sort of thing. It's probably a good idea to get a sample and test if you can! Hope this helps! Did you find that the smoothing primer balled up? That is my only fear! !